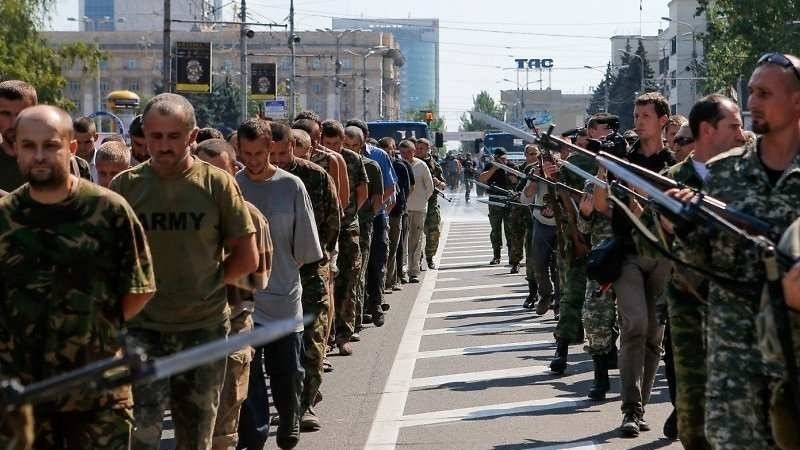 In the occupied territories of the Donbas 113 Ukrainians are kept hostages, the Head of the Security Service of Ukraine Vasyl Hrytsak reported at a briefing. According to Hrytsak, Russia is blocking all negotiations on the liberation of Ukrainians. However, Ukraine is ready to take unprecedented steps to bring home all the detained persons in the Donbas, in the occupied Crimea and in Russia. Hrytsak noted that separatists recognize only 24 people as hostages of those 113 Ukrainians. “Today, 113 hostages are still held on the uncontrolled Ukrainian territory of the ORDLO, only 24 of them have been confirmed by the ORDLO representatives within the Minsk format (ORDO – 18, ORLO - 6)," he said. He further noted that Russia is afraid "to show those places where our prisoners are kept in inhuman conditions on the far-fetched charges." "One of the key problems is the non-admission of international organizations to the occupied territories, to places where citizens of Ukraine are held," said the Head of the SBU. Earlier, while in Cherkasy, Hrytsak said that the militants of the terrorist group "DPR" included the leader of the Center for the Release of Prisoners "Officers Corps" Volodymyr Ruban in the lists for the exchange of hostages. Previously, Vasyl Hrytsak stated that Volodymyr Ruban, in collusion with the leadership of the ORDO, was preparing an attack in the center of Kyiv, in which thousands of people could suffer. The Head of the Security Service emphasized that the terrorist attack was prepared on the instructions of Russia.